So this evening after making my way through dinner, I checked my Twitter to see a notification from Lisa Allen nominating me for the Liebster Award. I couldn't believe it! 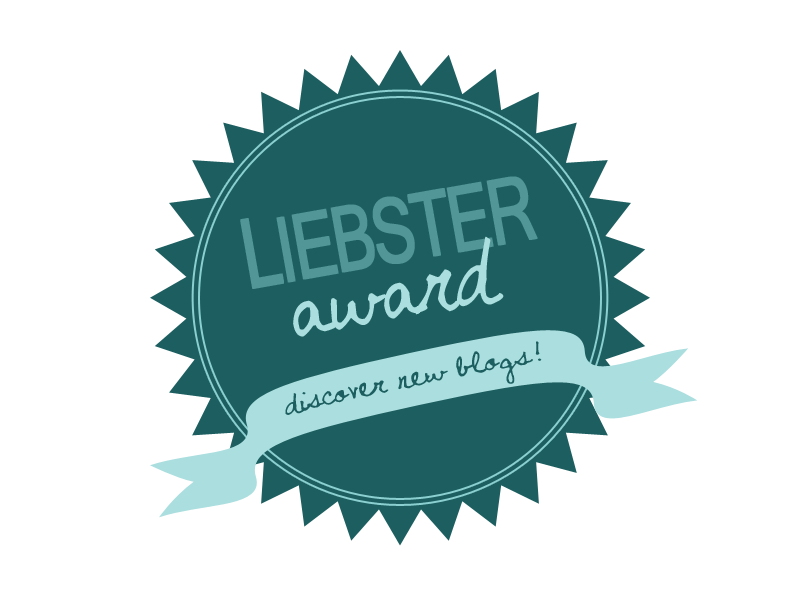 For those of you who don't know what this is, it's an award that is sent from blogger to blogger to help raise awareness and more or less welcome them to the blogosphere! They are normally sent to bloggers with 200 blog followers or less and the basis of the award is to answer the questions set by your nominator. 1) If you hadn't already guessed from my blog name, I have auburn/ginger hair! 2) I absolutely love Disney films, have 24 of them and won't stop until I have them all 3) I am of Irish and Italian decent - shame I didn't get the darker skin tone :( 4) I'm obsessed with Orange Lucozade (the fizzy one) 5) I used to be a regular gig-goer 6) My favourite place to go on holiday is New York 7) I'm a shopaholic - If I have money to spend, I'll spend it....ALL! 8) I want to move out for the first time with my boyfriend this year 9) I have the awful habit of clicking my knuckles, neck, back, ankles.... and any other joint that I get a click out of 10) I have been with my first and only boyfriend James for 6 years in March (we're practically an old married couple!) 11) If I had the chance, my dream job would be to do character voices for cartoons! 1) If you are having a blogging lull, how do you inspire and motivate yourself? I tend to set time aside just to read other people's blogs. For some reason it gives me motivation to get people reading mine, so I end up posting new content! 2) Favourite clothes shop? Has to be either Zara or Primark. 3) Marmite. Love it or hate it? Hate it!! 4) Which film or TV star would you compare yourself to? Probably Drew Barrymore, because she's seems down to earth and a bit goofy! 6) Have you ever met anyone famous? Yes, I tend to get really lucky and can spot them a mile away. Jimmy Carr was lovely and said me and Jim looked like a cute couple! 9) Where would you like to be 5 years from now? I'd like to have my own house, possibly expecting a baby but in a job that I love! 1) Who is your fashion inspiration? 2) If you could go back in time, when and where would you go? 3) What would be your dream job? 4) What is your biggest fear? 5) What made you start blogging? 6) What film would you choose if you had to watch every night for the rest of your life? 7) Who was your teen crush? 8) What is your worst habit? 9) What is your guilty pleasure song or film? 10) What would be your ideal day off? 11) What was your most embarrassing moment? Orange lucozade is so yummy! Wow, that's a long time to be with somebody! When I was at school this boy and girl started going out in year 8 when they were 12, they are still together now, married with kids 15 years later!